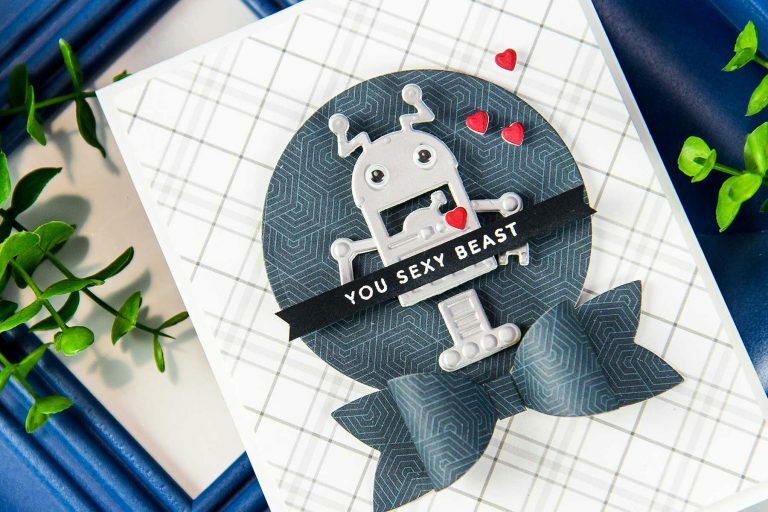 Today we’re sharing a masculine Robot card created with a touch of humor using our Die D-Lite dies. 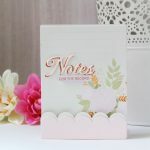 Create​ ​A2​ ​top​ ​folding​ ​card​ ​base​ ​out​ ​of​ ​white​ ​cardstock. 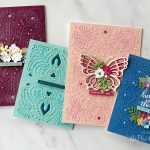 Cut​ ​patterned​ ​paper​ ​to​ ​4 x 5​ ​¼”,​ ​foam​ ​mount​ ​onto​ ​the​ ​card. 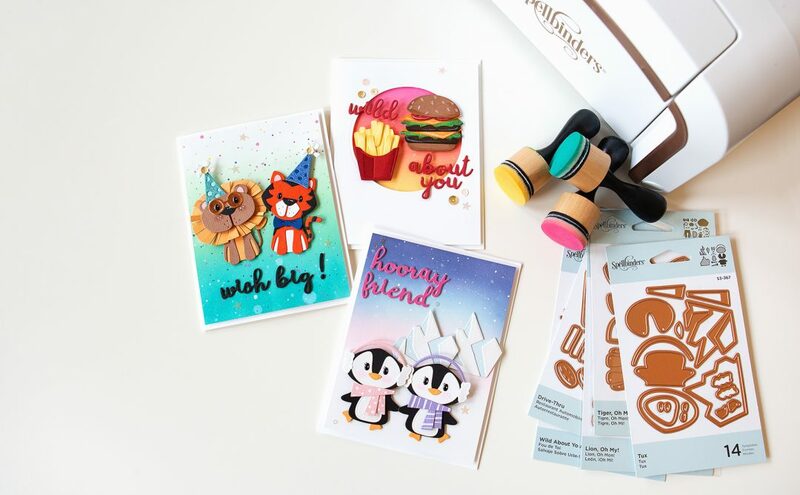 Die-cut​ ​circle​ ​out​ ​of​ ​patterned​ ​paper,​ ​foam​ ​mount​ ​onto​ ​the​ ​card. 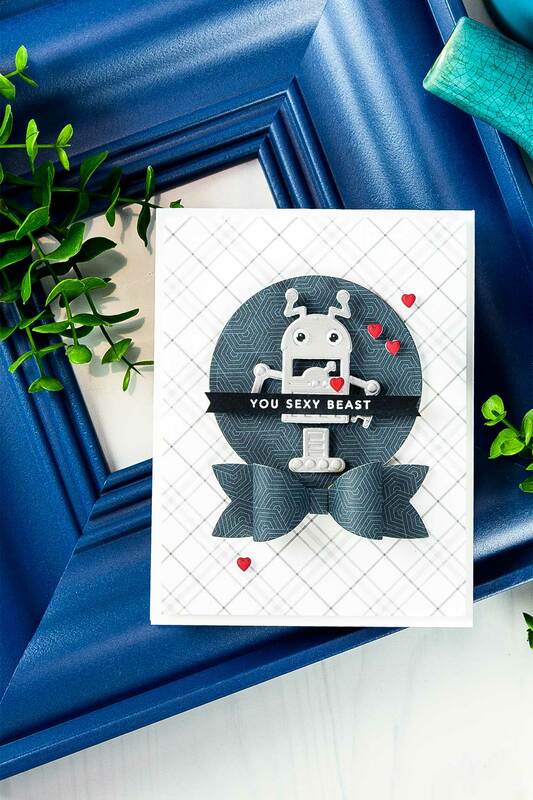 Die-cut​ ​bow,​ ​assemble,​ ​foam​ ​mount​ ​onto​ ​the​ ​card. Die-cut​ ​&​ ​emboss​ ​robot​ ​out​ ​of​ ​silver​ ​foil​ ​cardstock. Add double sided sticky sheets onto both sides of white fun foam. 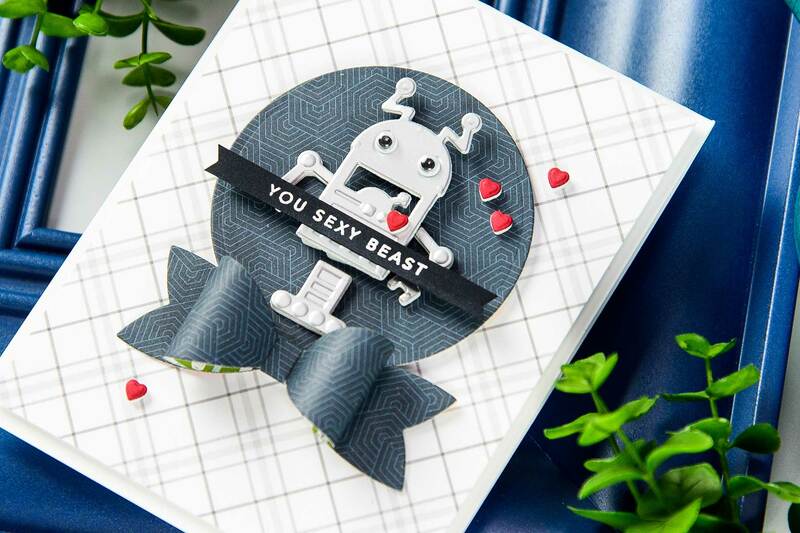 Die-cut robot. 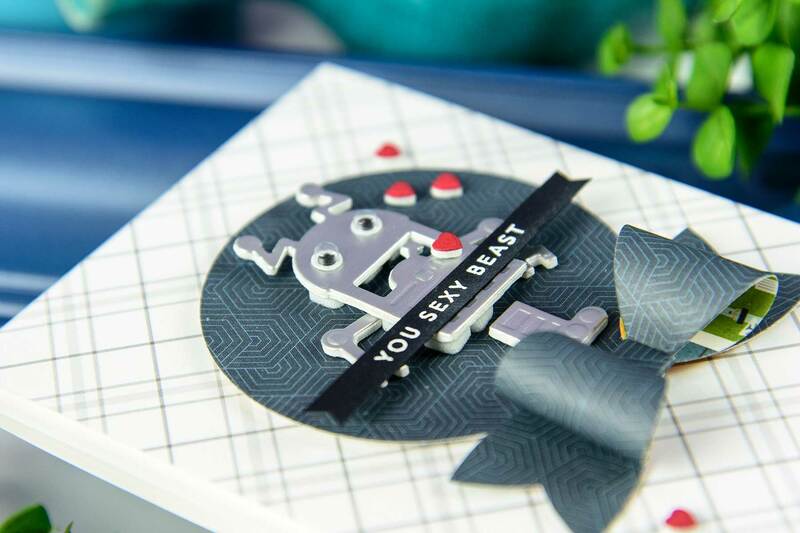 Adhere cardstock​ ​die​ ​cuts​ ​onto​ ​fun​ ​foam.​ ​Foam​ ​mount​ ​onto​ ​the​ ​card.​ ​Add​ ​googly​ ​eyes. Die-cut little hearts out of red cardstock and sticky fun foam. 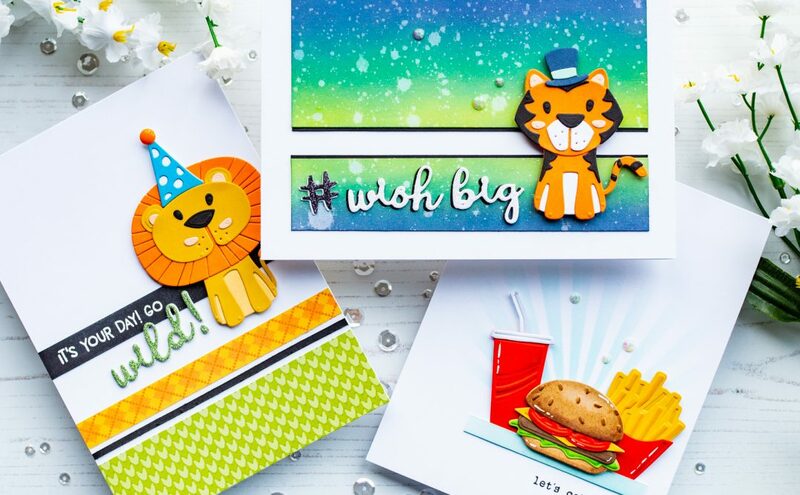 Adhere cardstock die cuts onto fun foam,​ ​adhere​ ​onto​ ​the​ ​card. 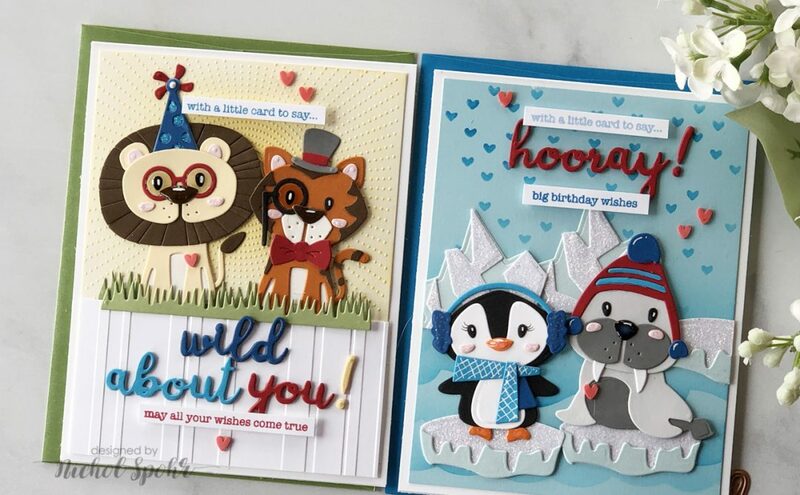 Heat emboss sentiment in white embossing powder onto black cardstock. Cut into a strip. 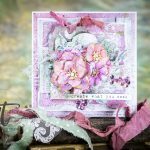 Adhere onto​ ​the​ ​card. 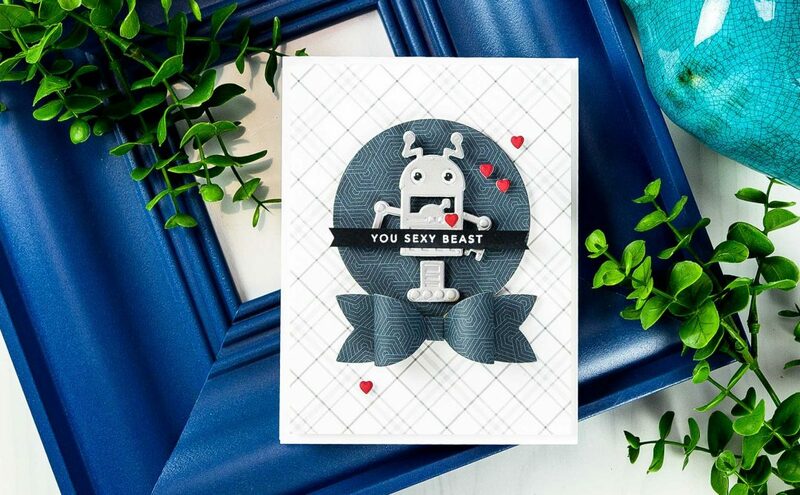 Silver​ ​Foil​ ​Cardstock;​ ​My​ ​Colors​ ​Cardstock:​ ​Chinese​ ​Red,​ ​Black​ ​Suede;​ ​Neenah​ ​Solar​ ​White​ ​110​ ​LB cardstock; White​ ​Fun​ ​Foam; Ken​ ​Oliver​ ​Stick​ ​It​ ​Double​ ​Sided​ ​Sticky​ ​Sheets; Versafine​ ​Watermark​ ​Ink​ ​Pad; Hero​ ​Arts​ ​White​ ​Embossing​ ​Powder; Patterned​ ​Paper:​ ​Echo​ ​Park​ ​Rock​ ​A​ ​Bye​ ​Baby​ ​6×6​ ​Paper​ ​Pad;​ ​Lawn​ ​Fawn​ ​Perfectly​ ​Plaid​ ​Winter 6×6​ ​Paper​ ​Pad; Simon​ ​Says​ ​Stamp​ ​Hello​ ​You​ ​Clear​ ​Stamp​ ​Set; Google​ ​Eyes.